Cilantro or coriander is a herb that delights your taste-buds with its aromatic flavor, but, some people find its taste a little odd. Cilantro is used widely in cuisines like Thai, Mexican, and Indian. When it comes to growing this herb at home, it becomes a little challenging as Cilantro is one of the most difficult herbs to be grown in pots. But, if you follow these easy steps that we are going to show today, then you will definitely learn how to grow cilantro at home. Do scroll down and read the cilantro planting guide with steps carefully to know more. If you follow these steps as mentioned, there is no stopping you from grabbing a bunch of fresh cilantro right from the pot in your home! Growing cilantro from seeds is the best way to grow them at home. However, its preferable if you can use freshly available coriander seeds instead of old as seeds of coriander are often infested by pests and bugs, rendering them useless. It’s always a better idea to make use of seeds that are only meant for sowing and not for cooking. 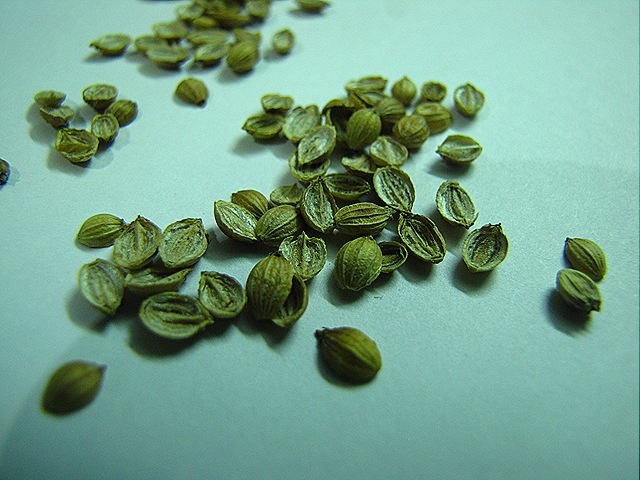 Most coriander seeds that are processed never germinate. When making your purchase, make sure that you buy these seeds from reliable places. 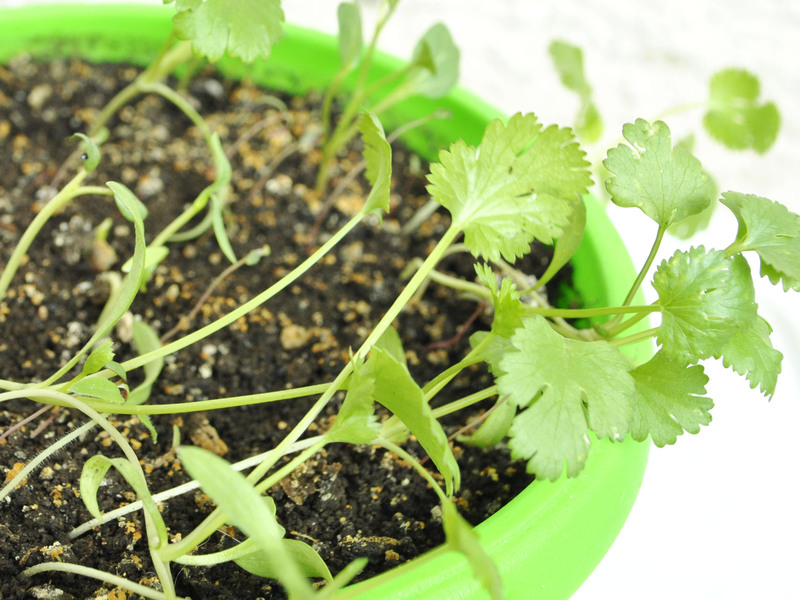 For growing cilantro indoors, you can make use of any deep container or pot. But, do not waste your money on buying pots with shallow depth as cilantro needs a large space to grow. Its like dill that needs a deep pot too. 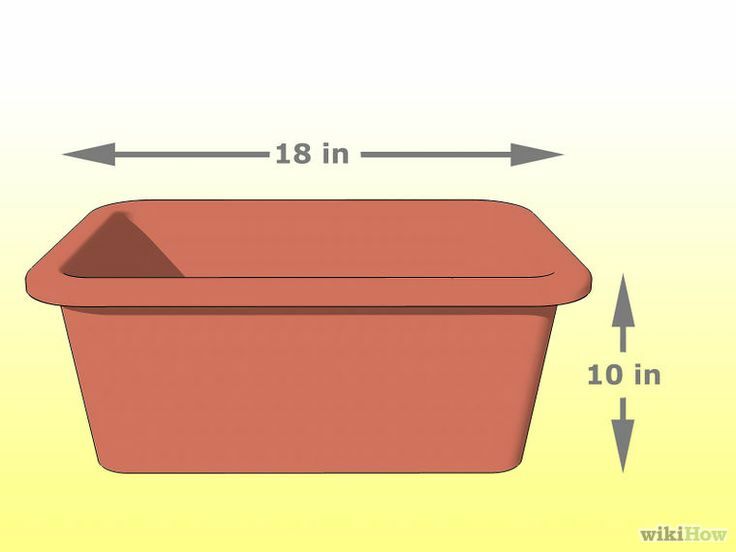 Choose a container that measures at least 18 inches wide and is at least 10 inches deep. Bear in mind that you stick to the measurements given. Cilantro is a plant that needs one permanent space to grow into a full grown mature plant. Planting seeds properly is an essential part of the process related with how to plant cilantro seeds indoors. Firstly, you need to start filling up the container with a soil type that doesn’t clog. Its best to select a fast draining soil for planting cilantro. To this soil, you can add fertilizer, but its not compulsory. After you have filled the soil and added the fertilizer, its time to spray water in order to keep the soil moist. But, make sure that you do not water it excessively as this will cause the soil to clog. After you have moistened the soil, its time to spread the seeds gently over the soil cover. 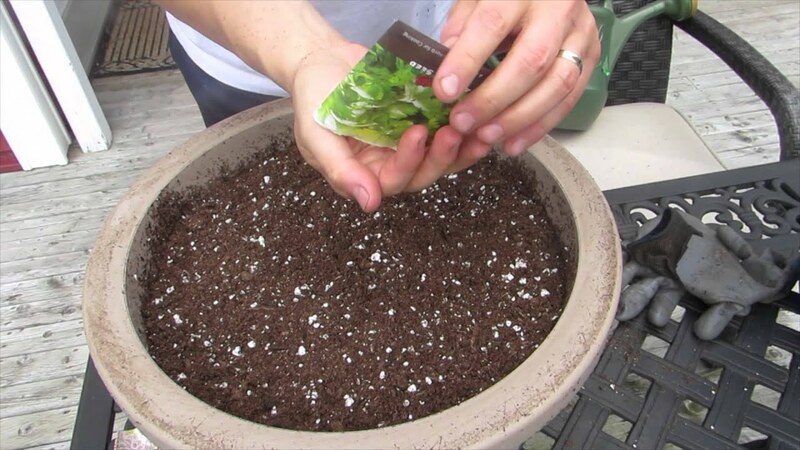 Make sure that you use at least 1/4 inches of soil to cover up the seeds. Be slow and gentle. Before you start planting the cilantro seeds, first look out for frost. Start to plant only when the frost has passed. However, it is a herb that can withstand little frost. Cilantro can grow well in winter season in regions that fall in the zone 8 and more. For regions falling in zones 10 and above, this herb will grow well both in fall as well in winter. The next important step in how to grow cilantro at home is showing sunlight to the cilantro pot. Once you have planted the seeds of cilantro in the pot, show it ample sunlight by selecting a proper location. This herb requires full sunlight to grow to its optimal best. That is why most people growing cilantro indoors prefer to keep the pots on widow sills. A windowsill gets loads of sunlight through the day, and this is perhaps the best spot for your cilantro pot. Once exposed to full sunlight, the cilantro would start germinating in a matter of 10 days. 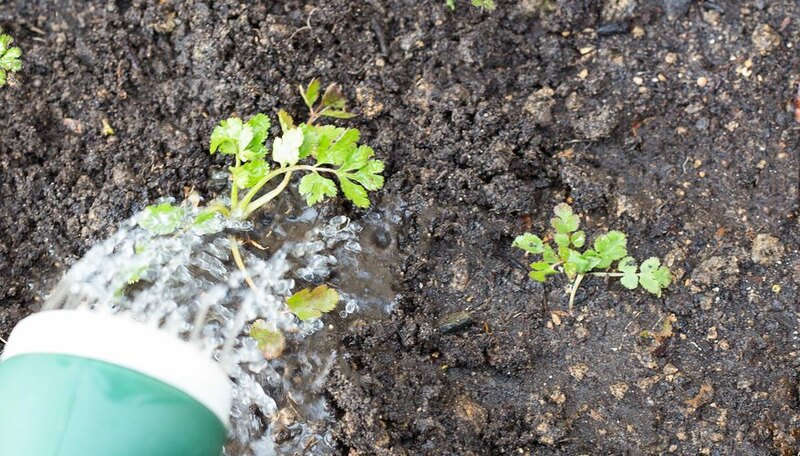 This is a tricky step in cilantro planting as the amount of water you use will determine the growth of your cilantro plant. Never make the mistake of pouring water directly on the soil as it may damage the planted seeds and displace them. Instead, use a sprayer to moisten the soil. Do it lightly. When cilantro stems reach 6 inches in length, its a signal for you to harvest them. It takes about 3 to 4 weeks for the cilantro plants to start producing young leaves after they are sown as seeds. However, in case you need to harvest the whole cilantro plant, you will have to wait for a long time ranging between 45 to 70 days. In order to boost the growth of cilantro foliage, you have to treat it with a nitrogen rich fertilizer every two months. But, the variety you choose needs to be half strength. Another way is to add compost or organic manure. Some gardeners suggest cilantro plant growers to use fish emulsion. Deadheading is an important step in any cilantro plant care routine as it helps in boosting the growth of leaves on the plant. For doing this, you have to check your plant everyday to inspect for any blooms. 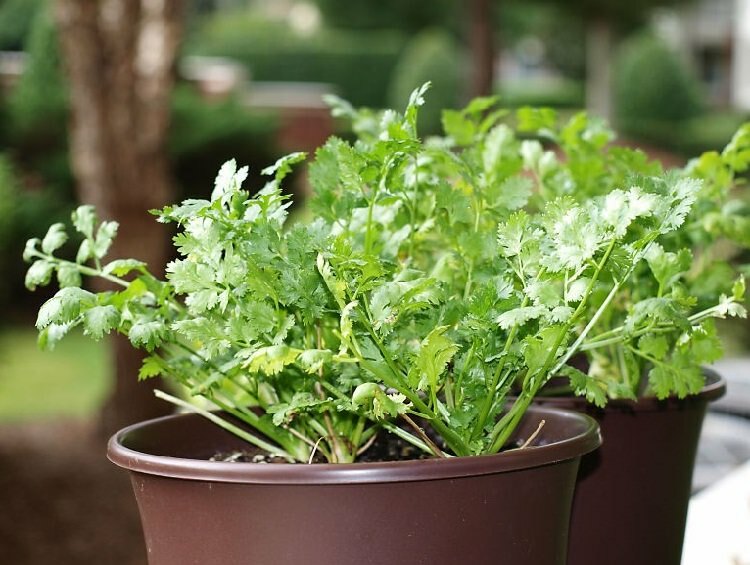 Like most plants, cilantro plants too are susceptible to pest attacks. Pests like aphids and mildew attack these plants commonly, specially if you reside in humid regions. For tackling the problem of pests, avoid watering the leaves. If you wet the leaves of the plant, the chances of mildew damaging your plant will increase. Also, maintain some distance between the cilantro plants when planting the seeds. Show the pot regular sunlight. Cilantro plant will grow nicely only when its exposed to full sunlight. However, be careful not to over expose it to excessive sunlight. For best results, keep it under partial sunlight and use a little shade. Its best if you can water the cilantro plant moderately everyday. Be sure not to wet the leaves as it will promote the growth of mildew. Use a spray bottle to mist the plant gently. Cilantro plant grows healthily in such soil that is organic and rich in nutrients. Select a variety that is a little rough and not too smooth. You must also use compost to nourish the soil. For promoting good growth, always keep a distance of 3 to 4 inches between each cilantro plant. So, if you want to learn how to grow cilantro at home, then, you must follow the above mentioned steps as ignoring even one will result in poor growth of this amazing plant that we also know as Chinese Parsley. Cilantro is quiet a delicate herb that is usually a little difficult to be grown in pots. But, it is not an unattainable job. With a little care and patience, you all can start growing cilantro from seeds in pots, and make some mouthwatering delicacies!